If accuracy, security, image clarity, and production capacity are what you are looking for in a production system, look no further than the Xerox Nuvera 200 / 288 / 314 MX. The Xerox Nuvera 200 / 288 / 314 MX print controller is powered by a 3.2 GHz Intel Core i5 6400 processor and 8GB of DDR3 memory, allowing for duplex printing speeds up from 200 impressions per minute all the way up to 314 impressions per minute. Their blistering fast printing speeds make the Xerox Nuvera 200 / 288 / 314 MX capable enough to meet the demands of any printing environment. In addition to the sheer speed of the Xerox Nuvera 200 / 288 / 314 MX, this series contains a robust set of features designed to enhance security for Magnetic Ink Character Recognition (MICR) printing environments. 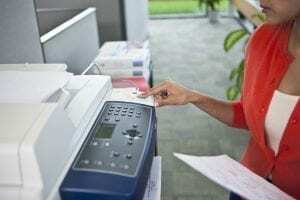 These include being based on a Solaris 11 operating system, which receives regular security patches through the integrated Xerox FreeFlow Print Server. Don’t let the power and security features of the Xerox Nuvera 200 / 288 / 314 MX fool you. The Xerox Nuvera 200 / 288 / 314 MX Perfecting Production System provides crisp prints at 4800 x 600 dpi resolution, and can print both MICR and normal prints simultaneously. Integrated security with Solaris 11 OS, customizable administrative accounts, IP filtering, Secure Print mode, encrypted job submission, advanced password support, and the option of data overwrite. 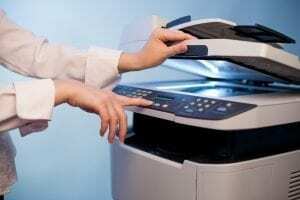 Software security patching through Xerox FreeFlow Print Server. 1200 x 1200 RIP resolution. 4800 x 600 dpi printing resolution. Halftone screens in 85, 106, 134, 156 lines per inch (LPI). Integrated Magnetic Ink Character Recognition (MICR) printing. Unparalleled accuracy with 99.5% read rates. Post-process module for enhanced stacking and sorting based on media type. Xerox Emulsion Aggregation (EA) Toner (210,000 prints). MICR Toner (90,000 prints). Duplex print speeds of 200 / 288 / 314 impressions per minute.